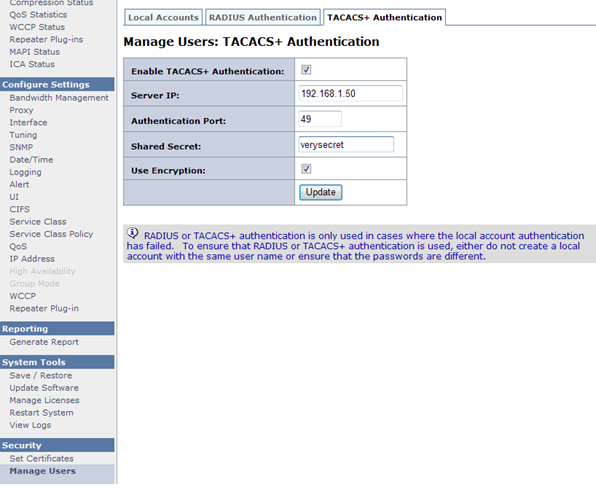 I have been looking about for documentation on how to configure TACACS authentication with a Citrix Branch Repeater, however so far I have only been able to find documentation for NetScaler. So I have setup a LAB and decided to write the documentation myself. For those who cannot be bothered to read this post there is a video link at the bottom of this post with a walkthrough. ESX Server 4.1 Running CitrixBranchRepeaterVPX-RC-5.6.1.43 Trial from Citrix via the VMWARE Virtual Appliance Marketplace. 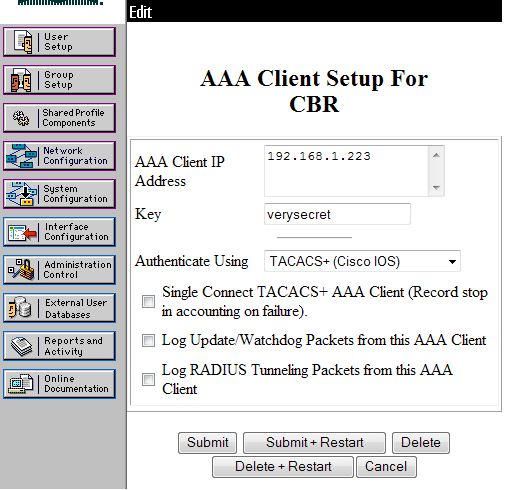 If you already have a TACACS user account, try logging into the CBR and you should have read only access, so does anyone with a TACACS account apparently! Nothing special, except the user needs to be assigned to a group with EXEC access and level 15 privileges before they can have full admin access to the CBR. Note: You could also set this up against the individual user. 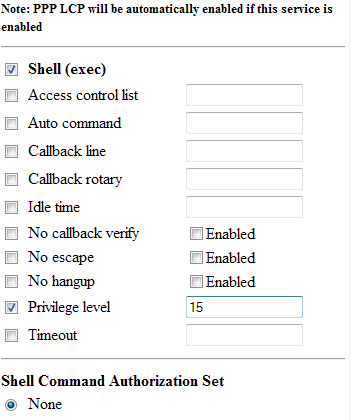 Logout and back into the CBR and now you should have full admin access. Here is a video of how to do this. 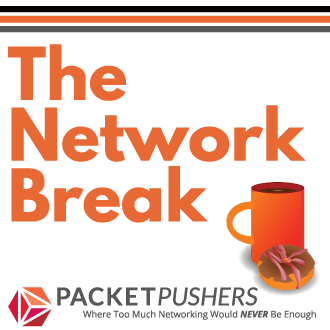 I was not able to find any documentation on how to configure the Citrix Branch Repeater with Cisco’s TACACS+ so I have setup a lab and worked it out for myself. What I would say it that setting up EXEC mode and Priveledge 15 could break the way you currently logon to devices using TACACS+, so be careful. Kudos. I haven’t been very impressed with Citrix docs – for Wanscaler and Netscaler.